Why is Jonathan pulling Clary's hair? Did she get captured again? Hopefully, Clary breaks free and stops him once and for all. 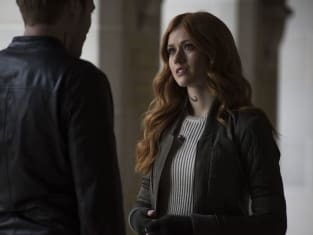 Shadowhunters Season 3 Episode 14: "A Kiss From A Rose"